ABC's Elizabeth Hur has the latest on a pair of amusement park accidents. 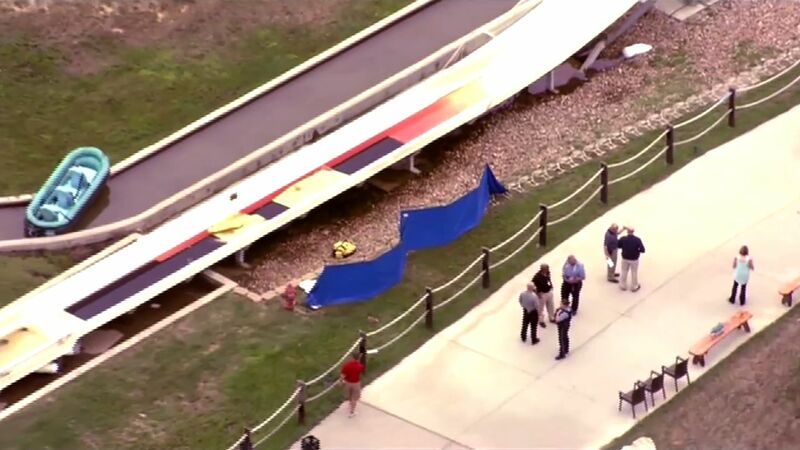 KANSAS CITY, Kansas (WABC) -- A witness to the tragic death of a 10-year-old boy on the world's tallest water slide in Kansas has revealed gruesome details of how the boy died. Caleb Thomas Schwab, the son of Kansas state Rep. Scott Schwab, was killed Sunday while riding "Verruckt" at Schlitterbahn Waterpark in Kansas City. The slide is 168-feet tall and has 264 stairs leading to the top -- taller than the Statue of Liberty. The slide's name means "insane" in German. ABC News talked with Esteban Castaneda, who witnessed the incident at the water park. He described a horrific scene after the boy's death. Castaneda said that he heard booms coming from the area of the slide and then saw a body wash down the slide directly after the raft did. Castaneda said noticed a lifeguard was trying to push the crowd back from the slide, but he continued to try to help because he thought there was someone lying face down in the water. The lifeguard told Castaneda that there was nothing he could do to help. It was at that point that he noticed the boy appeared to have been decapitated. Castaneda said two other woman were strapped into the raft, and the first position of the raft was empty. This is likely where Caleb had been sitting. Castaneda said he had ridden the slide earlier in the day with his cousin's 14-year-old daughter. She had told him that her safety belt's Velcro came undone towards the end of her ride. 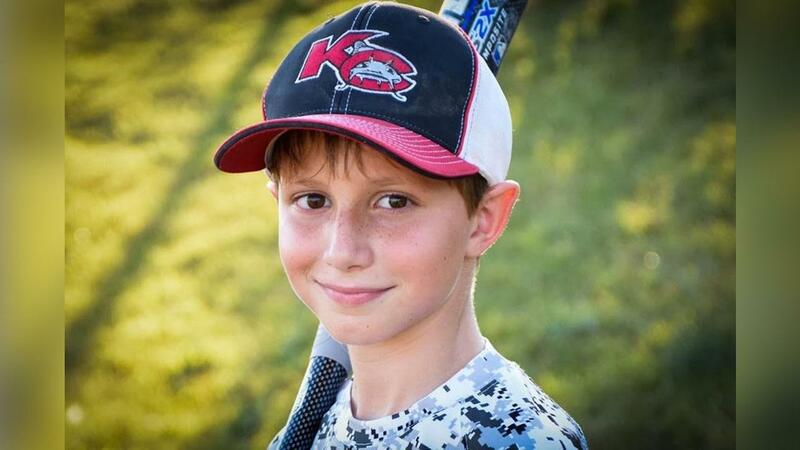 Kansas City Police also released more information about the incident Monday, calling the boy's death a "fatal neck injury at the end of the ride." The two women riding in the raft with Caleb suffered minor facial injuries. They were not related to the boy. Pastor Clint Sprague, the family spokesperson for the Schwab family said they're heartbroken. He said Caleb was a hugger who loved his parents, sports and Jesus. A memorial service is planned for Friday afternoon. The park was closed down after the incident Sunday and remained closed Monday. Verruckt was certified as the world's tallest water slide by Guinness World Records. Riders go down the slide in multi-person rafts and have to be at last 54 inches tall, according to the park's website.